In September of each year, I embark on a mission of the utmost importance: I try to find iPhone cases for my new iPhone that aren’t hideous. This vision quest often takes me to the furthest reaches of the internet, where true gems can be found if you’re willing to put in some work. In 2017, this mission was particularly important because I switched from Apple’s smaller flagship iPhone model to the larger iPhone 7 Plus. I’m very happy with my decision despite how often I use my phone with one hand. Why is that relevant? Because the 7 Plus is very uncomfortable to use with one hand. The iPhone 8 lineup should be a bit narrower and shorter thanks to a new design that eliminates much of the space around the display, but Apple’s next-generation iPhones are still a year away. In the meantime, I needed to find cases that would give my iPhone 7 Plus grip without adding any bulk. Thankfully, I ended up finding five different cases that all do a fantastic job. Without question, the “Super Thin iPhone 7 Case” by Peel is among the best options out there. These sleek cases are just 0.35mm thin and they fit perfectly on the iPhone 7 or iPhone 7 Plus. They add some grip — not very much — and they do absolutely nothing to protect the display or to protect the phone from impact damage if you drop it. They do save your iPhone from scratches, though. But there’s one big problem with Peel’s cases. There’s another company out there called TOZO, and it sells the exact same case for the iPhone 7 or the iPhone 7 Plus… and it costs $8.99 with free Prime shipping on Amazon. Peel’s cases cost $24.99 plus $5 shipping for a grand total of $30. When I write that the TOZO case is “the exact same case,” I mean that quite literally. It’s the same exact material in the same exact cut — there is no question that they come from the same factory in China. The only difference is the available colors. TOZO’s case comes in black, blue and white while Peel also offers gold and rose gold. All the colors are semi-transparent so you can still see the Apple logo on the back of the phone. Unless you need your case in rose gold or gold, I highly recommend the TOZO case over Peel’s cases, obviously because of the price difference. “The Scarf” by Totallee is the case I’m using on my iPhone 7 Plus right now. The design is very similar to the TOZO and Peel cases mentioned above, but there are a few key differences. First, and most important to me, the material Totallee used for this case offers better grip than the TOZO and Peel case. It’s still basically a thin plastic film like the other cases — it’s just 0.5mm — but the plastic Totallee uses has a different texture to it. With The Scarf, I feel slightly more confident that the phone will not slip out of my hand. Second, some bad news. Because this case is so thin, I’ve found that the plastic is starting to bow a bit on the tiny little strip between the power button and the display. I’m not sure how it can be avoided with plastic so slim, but it’s annoying that the case is already a bit misshapen after barely a week of use. Despite this flaw (which many people probably won’t even care about), The Scarf is still my go-to case right now. It comes in five different semi-transparent colors, and it costs $18.99 for either the iPhone 7 or iPhone 7 Plus. Next up is “The Spy” by Totallee. In my opinion, this is the best clear case available for the iPhone 7 and iPhone 7 Plus, hands down. It’s made out of a soft rubber that provides great grip, just like other soft clear cases, but it’s far thinner at just 0.4mm. It’s also not perfectly rounded at the edges, like most other soft clear cases. Instead, there’s a bit of a lip on the front and back that adds even more grip and protects the screen a bit. 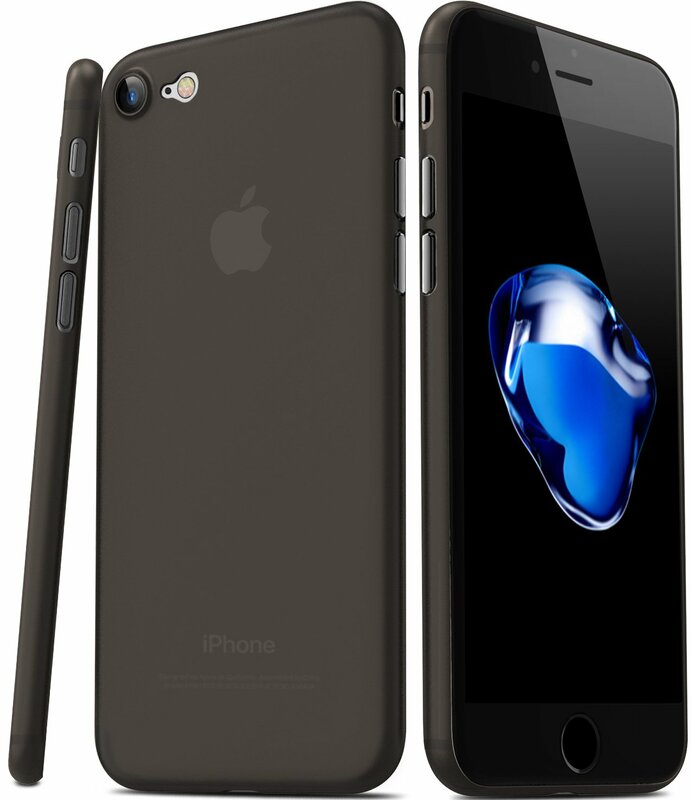 The Spy costs $16.99 and is available for both the iPhone 7 and the iPhone 7 Plus at the same price. Last but certainly not least is the CrashGuard by RhinoShield. Of all the cases on this list, the CrashGuard offers the best impact protection by a landslide. As long as your phone lands on a somewhat flat surface and not face-down on a rock or something, RhinoShield’s case will save it, no question. This case adds some serious bulk to the outer edges of the iPhone 7 or iPhone 7 Plus, but it’s actually not that bad because there’s nothing on the front or back of the phone. As a result, the phone still feels nice and thin while you use it. 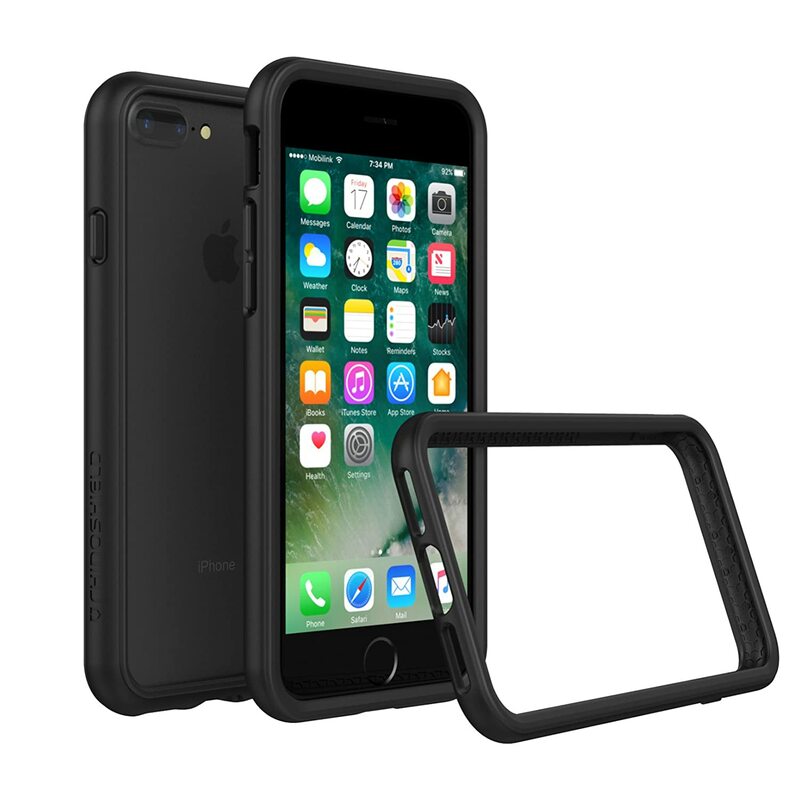 RhinoShield’s CrashGuard costs $20.99 for either the iPhone 7 or iPhone 7 Plus, and it comes in nine different colors.